Trellis Netting - Your Best Solution for Limited Garden Space | My Garden Trellis - Make Your Garden Beautiful! An excellent way for home gardens with restricted space to expand what they are able to grow and yield a bigger harvest is to implement vertical gardening into their system. Vertical gardening is merely moving the direction of the growth of your plants from the ground to the air. 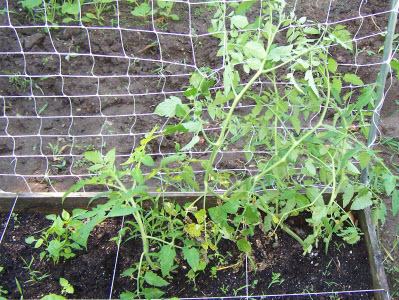 The easiest ways to do this is to attach garden trellis netting to the rear of your growing boxes or indeterminate vegetables. Lots of vegetable varieties can naturally grow vertically, even a few that you will not expect. Traditional plants from your local hardware store or nursery will be the bush varieties, intended to bush out or grow over the ground. If you look closely however, you will find that there are also vine varieties of the same plant. The label on the vegetables will likely say something regarding either indeterminate or vine type transplants. The important thing to realize is that plants are generally strong enough to support the load of their own fruit, so the only thing which you as the gardener need to watch for is the stability of the structure you provide. 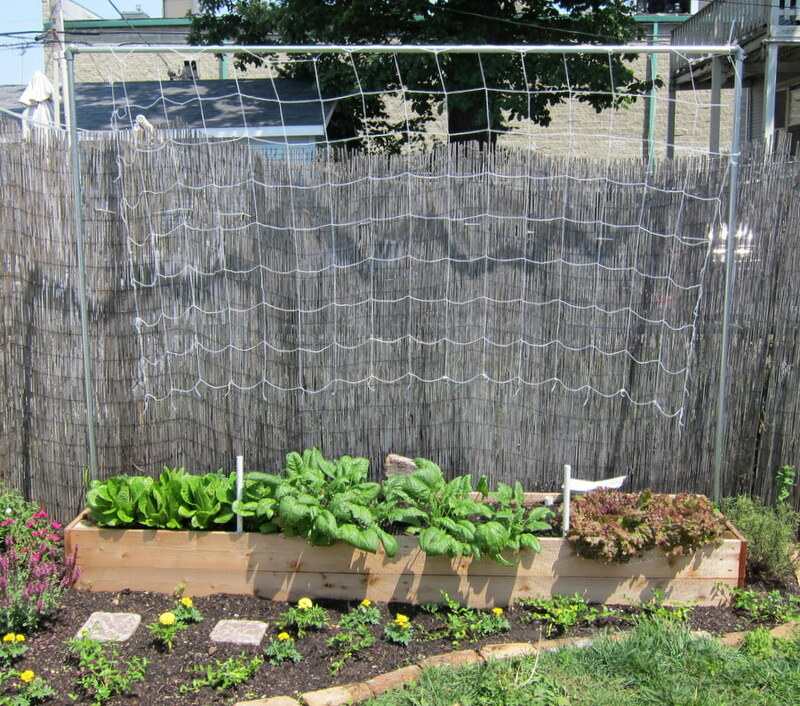 Attaching netting to some kind of pole, pipe, or trellis structure is a great way to facilitate vertical growth. Your plants might need a bit of attention and help in the early weeks of their growth. You may find you need to aid the plant in attaching itself to the trellis. As soon as the plant has established itself however, it should continue to grow upwards without too much help. 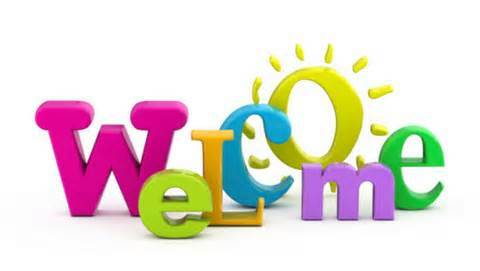 Traditional indeterminate plants include tomatoes, beans, cucumbers, squash, peas, and even melons. Watermelon or cantaloupe can actually thrive in a vertical gardening scenario. Assuming that your support structure is of adequate strength to hold up the fruit, the plant will be able to handle the weight of the melons it produces. Particularly in confined spaces, this can be a fantastic way to conserve space. These larger vegetables and fruits are usually omitted from a small garden, simply because they need too much room to grow. If you were capable of growing them upward rather than out, you’ll find that you can at last plant these varieties in your garden. 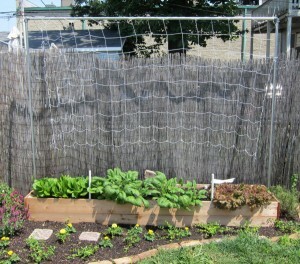 Garden trellis netting is an excellent way to add variety and flare to your garden. Choosing the best combination of netting and support structure will add an aesthetic appeal that you have never before had. Your friends and family are going to be amazed to see your plants growing vertically on the trellis, and will be impressed by your resourcefulness and forward thinking.